However, when parsed by another metric ‘citations’— or the number of times an article is referenced — India ranked only fifth and trailed the United Kingdom, Canada, the U.S. and China. “This suggests that India must work at improving the quality of its research output in AI,” said Dayasindhu N., one of the authors of the report ‘Landscape of AI/ML (Machine Learning) Research In India’. Rubbishing Pakistan’s contention that India has “no role” in Afghanistan, New Delhi on Friday made it clear that Islamabad could not decide the position of another country in regional or global affairs. Kumar said Pakistan should instead “introspect its own role and responsibility in the precarious situation in Afghanistan; put an end to all kind of support to cross-border terrorism from territories under Pakistan’s control, and join international efforts to bring inclusive peace to Afghanistan”. After more than 17 years, the time has come to accept two important truths about the war in Afghanistan. The first is that there will be no military victory by the government and its American and NATO partners. Afghan forces, while better than they were, are not good enough and are unlikely ever to be capable of defeating the Taliban. This is not simply because government troops lack the unity and often the professionalism to prevail, but also because the Taliban are highly motivated and enjoy considerable backing at home and from Pakistan, which provides them critical support and sanctuary. KABUL, Afghanistan — Even when Afghanistan’s capital, Kabul, is not attacked by suicide bombers, it is often gripped by gun-toting crime syndicates that receive protection from the country’s elite. If the national government cannot prevent chaos in the seat of its power, many are left wondering, how can it stand against an insurgency in far-flung and remote corners of the country? “The people’s concerns in society, particularly in big cities, also stem from thuggish groups who talk of force, who break the law, who have irresponsible armed militias,” Lt. Gen. Sayed Mohammad Roshandil, the Kabul police chief, said in an interview with The New York Times. 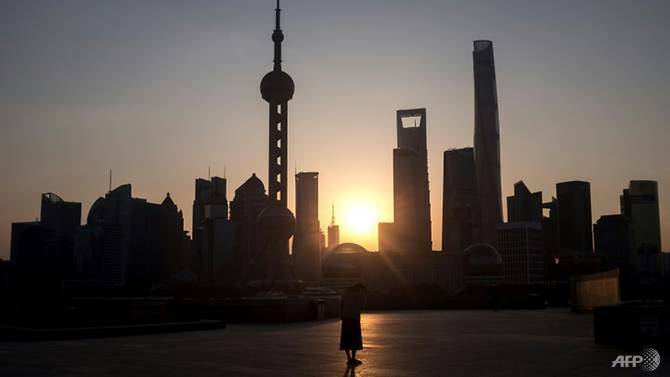 China’s Economy in 2019: Is a Reality Check in Store? First, the good news. Stock markets in China and Hong Kong strengthened on Monday with the start of the two-day talks between negotiators from the U.S. and China to iron out their trade conflicts. It helped symbolically that China’s vice-premier, Liu He, widely considered the country’s economic czar, “dropped by the talks to spur on the negotiators,” The Washington Postreported. The Beijing-backed US$3.6 billion Myitsone dam project, which if built as previously designed would flood 600 square kilometers of forestland in northern Kachin state and export 90 % of the power produced to China, was suspended by Myanmar’s previous military-dominated government in September 2011. The dam is designed to block a confluence that forms the culturally significant Irrawaddy River, the nation’s longest running from north to south. 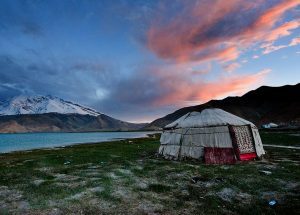 The project was previously strongly opposed by local Kachins and across the entire country. WASHINGTON: China is not ready to wage war far beyond the shores of Taiwan, but it is pressing hard to develop some advanced weapons and increasingly wants to project power beyond its shores with an increasingly capable military. Those are the fundamental conclusions of the Defense Intelligence Agency in a unique report with its roots in the Cold War. Known as China Military Power, it was inspired by a similar enterprise known as the Soviet Military Power report, first published in 1981, which was translated into eight languages and distributed around the world. The Pentagon released the report today, as well as a handy dandy video to ensure the report’s assessments get as wide a distribution as possible. 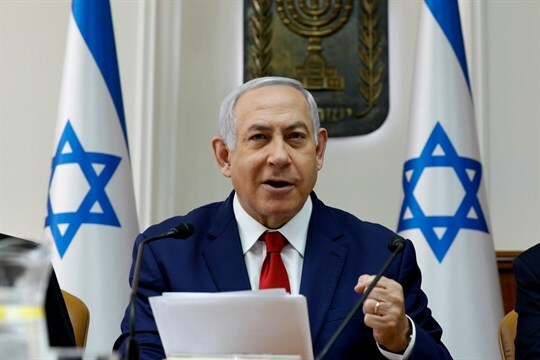 JERUSALEM—In three months, Israelis will head to the polls in what may become one of the most sensational yet least significant elections in their country’s recent memory. The race is already generating ample drama, with political parties forming and breaking up on what seems like an almost daily basis. But the always entertaining horse-race coverage belies a hopelessly stagnant political system, and a public discourse disinterested in policy and ideas. The contest will not be between different ideological approaches or policy solutions to Israel’s mounting problems, but between a few prominent figures who run political parties like private businesses and conduct themselves like media celebrities rather than public leaders. At the end of a heated and nasty campaign, one of them will carry the day. And it will almost assuredly be Benjamin Netanyahu. North Korea probably can level towns and cities faster than America and its allies can clear them of their residents. More than 30 million people including hundreds of thousands of foreigners live within range of North Korea's 13,000 artillery pieces. Artillery barrages in the opening hours of a full-scale war on the Korean peninsula could kill or injure 250,000 people, the U.S. Defense Department estimated. But evacuating the vulnerable population could prove impossible, the California think-tank RAND explained in a January 2019 report . The metropolitan area surrounding Seoul, which lies just 25 miles south of the demilitarized zone separating the two Koreas, alone is home to 25 million people including 1.5 million foreign nationals. 150,000 of the foreigners are Americans. Another million are Chinese. Outside the US, Chinese acquisitions have increasingly run into trouble. In August, the German government for the first time vetoed a Chinese takeover – the nuclear equipment maker Yantai Taihai’s proposed acquisition of Leifeld Metal Spinning, which specialises in manufacturing for Germany’s aerospace and nuclear industries – on national security grounds. In May, Canada blocked a proposed takeover of the construction firm Aecon by a unit of China Communications Construction, also invoking national security reasons. On December 13, 2018, U.S. National Security Adviser John Bolton gave a speech in the conservative Heritage Foundation about the Trump administration’s new “Africa strategy," based on Trump’s ‘America First’ foreign policy doctrine. In the United States, the media focus was on Bolton’s attack against U.S. adversaries and American aid. Specifically, Boston accused Russia and China of “predatory practices" in Africa. The Authors Guild recently published a survey showing that U.S. authors have suffered a massive decline in earnings over the past decade. The drop is hitting all categories of authorship with literary fiction writers worst affected. They suffered a 43 percent fall in earnings since 2013. There was an exception to the trend, however, and that is self-published authors. While they saw their book-related income nearly double since 2013, it remains 58 percent lower than authors who are traditionally published. In 2007, median income for all U.S. author categories was $12,850 and that sunk to a historic low of $6,080 by 2017. The Guild said that the trend is seriously concerning for the future of American literature. Its president, James Gleick, said that "when you impoverish a nation's authors, you impoverish its readers". There is a myriad of reasons for the grim decline and Amazon's dominance of the market place stands out. Even though it can prove positive for some authors and especially those seeking to self-publish, Amazon forces publishers to accept narrower margins and those losses get passed onto authors in the form of lower advances and royalties. They will include a growth recession in China, a rise in global long-term real interest rates, and a crescendo of populist economic policies that undermine the credibility of central bank independence, resulting in higher interest rates on “safe” advanced-country government bonds. A significant Chinese slowdown may already be unfolding. US President Donald Trump’s trade war has shaken confidence, but this is only a downward shove to an economy that was already slowing as it makes the transition from export- and investment-led growth to more sustainable domestic consumption-led growth. Karl Marx is cherished in China as the father of communism, but condemned in America (as well as in the West) as a villain for the same reason. However, did you also know that he actually published a lot more on capitalism than on communism? In my humble opinion, Marx's analysis of capitalism remains most thorough and insightful to date, his works on socialism were primitive, and he was completely wrong on communism. It's time to objectively assess him as a part of History 2.0. 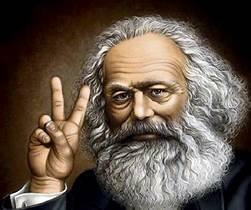 1. Who is Karl Marx? Karl Marx (5 May 1818 - 14 March 1883) was a German philosopher, economist, historian, political theorist, sociologist, journalist and revolutionary socialist. Born in Trier to a middle-class family, Marx studied law and Hegelian philosophy. Due to his political publications, Marx became stateless and lived in exile in London, where he continued to develop his thought in collaboration with German thinker Friedrich Engels and publish his writings, researching in the British Museum. His best-known titles are the 1848 pamphlet, The Communist Manifesto, and the three-volume Das Kapital. His political and philosophical thought had enormous influence on subsequent intellectual, economic and political history and his name has been used as an adjective, a noun and a school of social theory. Last Sunday, masked men intercepted a white van carrying Venezuelan opposition leader Juan Guaido to a political meeting outside Caracas. They shoved Guaido into an SUV and sped away, taking into custody the man spearheading a bold and risky new strategy to try and reverse the country’s calamitous decline under President Nicolas Maduro. 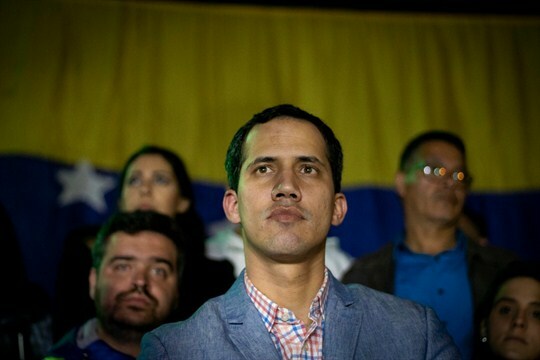 Authorities freed Guaido after a short detention, perhaps because the incident was only meant to intimidate him, or maybe because the government is still unsure about how to deal with Guaido, who is raising the stakes in a way Maduro has not seen until now. A week ago, the Venezuelan leader was sworn in for a new six-year term. The ceremony might have seemed like a pro-forma event in a presidency that began in 2013, continuing the country’s sharp left turn taken two decades ago by Maduro’s mentor, the late President Hugo Chavez. But Maduro’s second inauguration marks the beginning of a new phase of conflict in Venezuela, with the opposition launching a bold campaign whose international support is without precedent since the rise of Chavismo.